The German alternative to the traditional brands from the West. Audio Exklusiv has something to offer for everyone. We particularly fancy their magnificent range of full range electrostatic loudspeakers as well as their high value range of hybrid valve/solid-state amplifiers. We have both electrostatic loudspeaker models on demonstration. The smaller P3.1 lives happily with 60W RMS of valve power. One of the High-End's ultimate representatives. Superlative in every way. Diablo 300 Integrated one of our favorite models. Conrad-Johnson requires no introduction. This is one of high-end audio's manufacturers with a legacy stretching back several decades. Only the very best electronic components will be found in CJ units. Their slogan of not selling 'packaged air' holds true to this day. In a CJ you undoubtedly get what you pay for. Their top offerings employ proprietary teflon insulated capacitors and pricey Vishay resistors throughout. We have the GAT, ET3, legacy Premier Fifteen and Sixteen models as well as the mighty ART300 mono blocks on demonstation. The traditional face of high-end Hi-Fi. A solid investment both musically and financially. 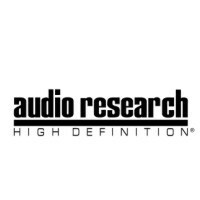 Pre-owned Audio Research products command the high premiums. We have the mighty Reference 10 line-stage preamplifier on demonstration as well as Audio Research vacuum tube power amplifiers, DACs and CD-players. Bowers & Wilkins loudspeakers have enjoyed being at the forefront of technological advances for decades. The latest 800 Diamond Series 3 is no exception. In-house driver design and manufacture ensure a sophisticated marriage of all design elements. Transparency from these loudspeakers can be striking when matched to sophisticated electronics. A unique and outstanding loudspeaker designed to excite and stir up emotions no matter what music is presented. Ask us for a dedicated home, studio or club audition. Aurender has been manufacturing a stunning range of music servers made famous for their superb sound quality as well as their impressive "Conductor" app user interface. We have an Aurender on demonstration and can facilitate any home demonstration with prior arrangement. Brinkmann is most famous for their reference quality record players that have over decades proved to be outstanding in every respect. When the time came for Brinkmann to venture into the world of digital, the sound from their record players served as voicing reference for their Nyquist streaming D/A converter. Never before has digital been so analogue. The LINN Sondek LP-12 turntable is a firm favorite. We can service and upgrade any LP-12 no matter what the condition or age. Lately genuine spare parts have become hard to come by in SA, but for those willing to invest in a factory authentic upgrade/restoration, we are more than willing and capable of making it come together. 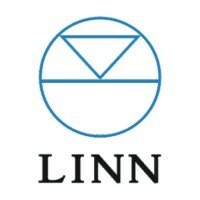 Please inquire about our wide range of LINN factory parts kept in stock. One of the best home theater products available at any price. The AVM60 processor is absolutely world class. PS Audio is probably most famous for their ingeniously designed ac-power regeneration and filter products. We have been using and promoting various models since the mid nineties. Lately we have found great joy in their latest D/A converter called the Stellar Gain Cell DAC. Made famous for their indestructible competition subwoofers for automotive use, these long standing references of the deep is now available in a range of domestic subwoofers of all sizes. With their acoustic suspension cabinets, super powerful built-in class-D amplifiers and proprietary drive units, these subwoofers simply levels all playing fields. Townshend Audio offers an interesting range of unique high-end audio products and accessories. We love and stock their Maximum Super Tweeters capable of extending frequency response up to 90kHz source permitting. These devices with their ribbon elements is a must hear product capable of transforming any system no matter how extravagant. A real authentic vinyl experience starts with a baby Rega. Since the Early 80's Rega has been dominating this segment of the market with their simple, yet functionally perfect turn tables. Just come and hear one of these on a basic system to come to grips with the legendary foot-tapping phenomenon. Digital eat your heart out. One of the widest cartridge product ranges available internationally. In every price range Ortofon has an award winner. The Cadenza black comes highly rated from one our most trusted listeners for whom an organic presentation with a high degree of realism is paramount. Exceptional cables. The entire range offers great value for money. Off the reel offerings of true high-end standard. FP314 power cable a firm favorite. Highly recommended. Ever since the introduction of Bryston's latest firmware update for all their BDP players called 'Manic Moose', even their old BDP-1 came alive with superior UI functionality as well as a welcome addition of now being fully Roon end-point as well as MQA capable. This is a stunning product. Arguably the best middle ground of entry level high-end Hi-Fi. Fantastic value. Superb long term reliability track record. Arguably the most stylish loudspeakers on the market. Sonus faber's sound as good as they look. Very well suited to acoustic music genres. High efficiency and friendly amplifier loads make them well suited to valve amplifiers. No Introduction required. Value, performance, simplicity = NAD. 3020's from the late 70's & early 80's considered collectible icons. Most are still in service to this day. SVS Subwoofers have steadily been building a reputation for unmatched performance irrespective of price. From the entire range there are multiple award winners. SB16 Ultra is a favorite. We love the SVS app control. 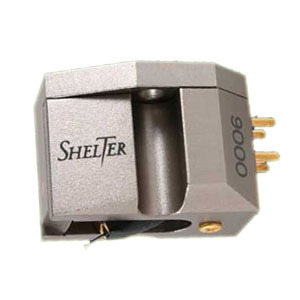 The latest range of phono cartridges from Shelter combines speed and refinement at the frequency extremes with a beautifully orgnic midrange. These cartridges are musically rewarding and detailed at the same time. Come hear the 9000 on our Linn LP12.